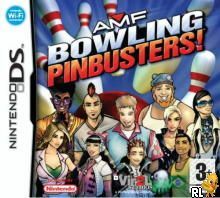 OverviewPublished by Bethesda, AMF Bowling Pinbusters uses the motion sensing functions of the Wii Remote to imitate a bowling experience on the Nintendo Wii. A DS version is also in production. Now you can add videos, screenshots, or other images (cover scans, disc scans, etc.) 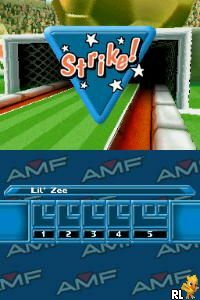 for AMF - Bowling Pinbusters! (E)(XenoPhobia) to Emuparadise. Do it now!